We fondly remember Reverend A. Clive Balfour who died February 26, 2014 at the age of 87, in Sooke, B.C. Clive was born December 15, 1926 in North Battleford, Saskatchewan. He moved to Winnipeg in December 1945 to begin apprenticeship with the C.N. Railway. After 10 years and obtaining the position of engineering supervisor of a foundry, Clive left to become an instructor at Red River College where he taught for 19 years. Retiring to BC, Clive was a Rector?in the Anglican Church, played in bands, and enjoyed senior Tai Chi. Donations in Clive’s memory can be made to First Open Heart Society, Sooke Hospice, or the Heart and Stroke Society of Canada. Our deepest condolences go to Shelia Johnston whose husband, Garth Scott Wannan passed away at the age of 69 at?La Salle, Manitoba. He died peacefully in his sleep at home on Friday, November 22, 2013. ? The funeral was held on Friday, 29 November at Thompson “In the Park” Funeral Centre. 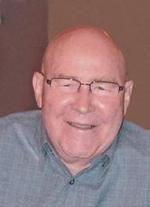 It is with deep sadness the family announces the passing of RoyMalyon at the Winnipeg Health Sciences Centre, on Wednesday February 13, 2013 at the age of 73 years. Roy was a Chair in the Transportation department in the ‘90s, and then moved to Market Driven Training. He was responsible for creating RRC’s partnership with Toyota and the T-TEP program. After Toyota discontinued their program across Canada, they continued to remain a strong supporter of RRC through vehicle donations. Roy was also instrumental in founding partnerships with Boeing and Standard Aero that continue to this day. He was very highly respected by all that worked with him and was a great ambassador for the college. ?The family would appreciate a donation in Roy’s memory to CancerCare Manitoba Foundation Inc., 675 McDermot Ave. Winnipeg MB R3E 0V9.
? Previous 1 … 36 37 38 39 Next ?